Wooda welcomes the entire family including the fluffy, four-legged variety. A true pooches paradise, we have a puppy playfield for off-lead roaming, a dog-friendly woodland walk not to mention the neighbouring beaches and coast-path for endless adventures. Return from dog walking and wash muddy paws and sea salty fur in our dog shower. A holiday isn’t a holiday unless all the family can have a break together! 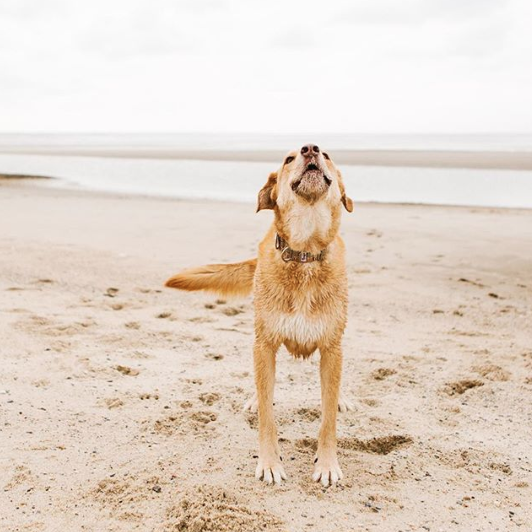 The Devon and Cornwall coastline is the paw-fect destination for your dog/s to let off some steam by exploring hidden coves, jumping into rockpools and rolling on the soft sand and maybe indulging in an ice-cream or two! The majority of beaches in Bude are dog-friendly all year round so even a midsummer stay at Wooda makes for a welcome spot to explore with your pooch. The region hosts a network of footpaths along the dramatic coast, so plot your adventures along the vast expanse of sweeping sandy beaches, pack a picnic and doggy treats and unwind with the sound of the ocean by your side. Watch the iconic surf from the shoreline as you tuck into your picnic and discuss where the perfect place is to dip your toes and paws.